CARTWRIGHT, Sir RICHARD JOHN, businessman, politician, and author; b. 4 Dec. 1835 in Kingston, Upper Canada, second son of the Reverend Robert David Cartwright and Harriet Dobbs*; m. August 1859 Frances Jane Lawe of Cork (Republic of Ireland), and they had seven sons and three daughters; d. 24 Sept. 1912 in Kingston. Richard Cartwright came from an Upper Canadian loyalist and conservative family, the Cartwrights of Kingston. His grandfather Richard Cartwright* had been a prominent merchant, landowner, legislative councillor, and judge. His uncle John Solomon Cartwright* sat in the provincial assembly as a conservative who, in the 1840s, opposed the reform policies of Robert Baldwin* and Louis-Hippolyte La Fontaine*. Most of the male Cartwrights who lived into adulthood – the family suffered heavily from tuberculosis – went into politics, business, and law, but Richard’s father attended Oxford and became an Anglican clergyman. He served as an assistant minister of St George’s Church and as chaplain for the imperial forces based in Kingston. His death from tuberculosis in 1843 left Richard, the eldest of the family’s three surviving sons, fatherless at the age of seven. With his brother Conway Edward, he attended a private school in the Niagara District and then, in 1851, the two brothers went to Trinity College, Dublin. Because of their father’s modest circumstances and early death, the family lacked the connections which might have eased their way into Oxford. It is likely that Richard met his wife Frances, who was related to him on his mother’s side, during his stay at Trinity. He did not graduate. 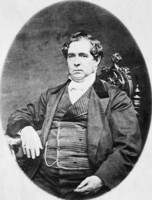 On his return to Canada in 1856, he read law for some time in Kingston. Though he would not be called to the bar, this training quite likely helped him prepare for the business dealings which were to occupy much of his life. The acquisition, renting, and mortgaging of land in the Kingston and Napanee areas, long a family tradition, became Cartwright’s main occupation and source of income outside the political career he began in the 1860s. He also emerged as an important figure in Kingston’s financial institutions; he was president of the Commercial Bank of Canada from 1864, and a founding director in 1863 and later, for many years until his death, president of the Frontenac Loan and Investment Society. He believed that banks should serve more than the interests of the wealthy; they might, in fact, benefit all in society. At the Napanee Savings Bank Society, set up by Cartwright and others in 1860 with the Commercial Bank as its depository, any amount between 25¢ and $200 was accepted; depositors were asked to give a week’s notice before withdrawing more than $5. 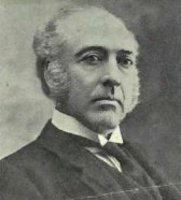 This policy, Cartwright and two other guarantors reasoned, would prevent the indulgence of “extravagant desire” and teach “careful and provident habits.” Such frugal sentiments would be echoed many times in later years in Cartwright’s critiques, from the opposition benches, of the immoderate financial habits of Sir John A. Macdonald*’s Conservative governments. Cartwright earned a reputation for probity as a banker but his financial career suffered a severe setback in 1867 with the failure of the Commercial Bank. 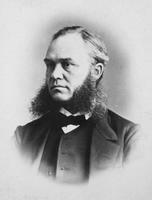 His biographer, W. R. Graham, has argued that the failure was due to bad luck and poor investments in railway bonds, rather than to bad management on Cartwright’s part. The collapse of a Kingston rival, the Bank of Upper Canada, had started a run on the Commercial. It was capable of meeting its obligations, but it could not overcome the immediate cash-flow crisis and was forced to close its doors. 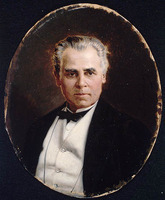 Cartwright anxiously appealed to Macdonald and George-Étienne Cartier*, both then in government in Ottawa, for a loan of $1.5 million but he was refused, and the bank was taken over by the Bank of Montreal. These events did not shake Cartwright’s confidence in his financial talents. He appeared before the House of Commons’ standing committee on banking and commerce in 1869. He served from 1868 to 1873 as an elected director of the Canada Life Assurance Company and became involved in gold- and coalmines and in railways. In 1881 he helped establish the Kingston Charcoal and Iron Company. During the Manitoba land boom of the 1880s, he bought land on the outskirts of Winnipeg and at the town-site of Cartwright, but, in one of his least profitable land deals, he sold most of his Winnipeg holdings before they rose in value in the early 1890s. In addition, throughout much of his life, Cartwright acted as an investment broker, which, he later recalled, was an “exciting” but “precarious” way of life. Cartwright was much like such Kingston figures as Alexander Campbell*, Overton Smith Gildersleeve*, Sir Henry Smith*, and Macdonald, in that his business career preceded his entry into political life and continued to be of great importance afterwards. Cartwright, however, would in time come to believe in a stricter separation of business and public interests than Macdonald maintained and, while in opposition, he would frequently advocate policies that could harm his private interests, as in the case of Manitoba landholdings. 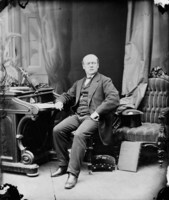 He had begun his political career in 1863 as a Tory when he defeated the sitting Conservative in Lennox and Addington in a “factionalized and intensely local contest.” He was a loyal back-bencher in Macdonald’s party and spent much of his time acquainting himself with party management. 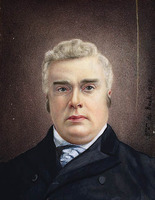 Playing a role familiar to many 19th-century Ontario politicians, he carried the “oil-can” of patronage to reward Conservative loyalists in his riding. 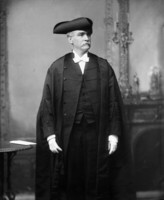 Throughout his Tory years he had an amicable relationship with Macdonald, corresponding with him about party matters and the distribution of appointments. He treated his sojourn on the back-benches as a form of apprenticeship, but he was not a silent supporter of the Conservatives. In a pattern that would become familiar to both friends and enemies in the House of Commons, he was a vigorous and outspokenly partisan mla. From his earliest days, there was a strong streak of independence about Cartwright: not for him the customary role of a back-bencher who always toed the party line. 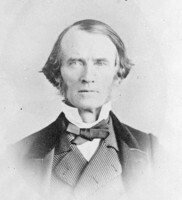 In legislative debate in 1864 over the state of the Canadian militia, for example, he forcefully argued that neither John A. nor John Sandfield Macdonald*, the co-premier who had started to reform the militia in 1863, had come up with an adequate plan for the colony’s defence. Cartwright pushed for the establishment of a “regular first class militia” of 50,000 to 100,000 men who would be drilled for six months and then put on reserve. Such a force, he reasoned, would be cheaper and more effective than the existing system, which called men away from their occupations for brief periods of drill. 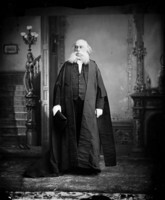 In 1867 Cartwright was elected for Lennox to the House of Commons of the new dominion. His support of John A. Macdonald and the federal Conservatives came to an end two years later. It was not an abrupt departure. 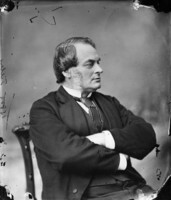 Rather, his dissatisfaction with Macdonald’s appointment of Sir Francis Hincks* as minister of finance in 1869 triggered a gradual slippage towards the Liberals. It has been argued that Cartwright was motivated by his belief that he should have been given the finance portfolio and by his personal pique that Macdonald had failed to help save the Commercial Bank. It is far more likely that Cartwright’s objection to Hincks stemmed from the latter’s reputation for political corruption in the 1840s and 1850s. Cartwright’s writings and speeches for the best part of his career were clear indictments of the kind of political chicanery which he believed Hincks represented. 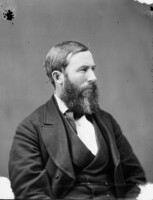 And, while Cartwright never wanted confidence in his own political talents, he recognized in 1869 that he lacked the political experience and seniority needed for the portfolio and that he came from a region already well represented in cabinet by Macdonald and Alexander Campbell. He signalled his break with the Tories by sitting as an independent until 1873. He none the less continued to conduct personal business with Macdonald; both were involved in the Kingston and Pembroke Railway and corresponded amicably about company affairs during this period. 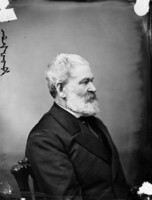 The Pacific Scandal of 1873 prompted Cartwright’s final break. 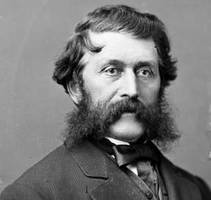 He had been voting more and more with the Liberals and supporting their positions, including a resolution by Sir Alexander Tilloch Galt* in 1870 calling for Canada to assume the right to negotiate its own commercial treaties. 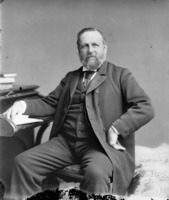 In April 1873 Lucius Seth Huntington*’s charges of extensive corruption by the Conservatives and by Macdonald himself in the election of 1872 dashed any prospect of reconciliation between Cartwright and the Conservatives. That summer he met with the Liberal caucus for the first time; by November he was a party insider. At every opportunity he voiced his detestation of Macdonald’s lack of political integrity. Cartwright’s resolve to destroy the government was no doubt strengthened by the prospect of an important post in a Liberal government, but that was by no means certain when he began negotiations with party leader Alexander Mackenzie*. Even after the Liberals assumed power on 5 November an appointment was not secure. Luther Hamilton Holton*, a long-time Liberal mp from Quebec, was the first to be offered the ministry of finance but he refused. For a short time, before opting for public works, Mackenzie himself considered taking finance. Only then, and with few qualified candidates left, did he turn to Cartwright as the next “logical” choice. Cartwright took office on 7 November. 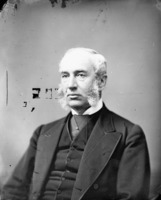 In the resulting by-election in Lennox in December, Cartwright soundly defeated Edmund John Glyn Hooper*, despite the strenuous efforts of Macdonald and Campbell. Cartwright found himself finance minister in a government plagued with economic problems. He took some steps to reform the control of government finance – the creation, for instance, of the auditor general’s post in 1878 [see John Lorn McDougall*] – but the difficulty went beyond internal control. The depression of the 1870s was depleting public revenue and there was widespread dissatisfaction with the government’s apparent inability to devise concrete solutions to the country’s woes. Manufacturers in central Canada, complaining of American protectionism on the one hand and American dumping of cheap goods on the Canadian market on the other, were a particular problem for Cartwright. They sought tariff protection; his advocacy of freer trade, and reliance on statistical data rather than information interpreted by lobbyists, did little to endear him to them. 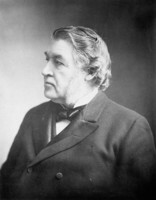 The tariff issue came to a head in February 1876 when, responding to Cartwright’s budget speech, Charles Tupper called for a “national policy” of tariff protection. Protectionism, Cartwright huffed in return, was anti-British; it violated the imperial policy of free trade and would impose duties on British imports. A so-called “national policy” would also inflict long-range damage on British manufacturers and threaten to create permanent ill feeling between Canada and Britain. More than that, he argued, “the introduction of a high protective tariff . . . would tend to enrich a few, but it would diminish in the long run the wealth and comfort of the many.” It was a decisive moment. After struggling with the tariff issue since before confederation, the Liberals and Conservatives defined the approaches that they would defend for decades to come. The Liberals now stood as advocates of tariffs for revenue purposes only and for freer trade with the United States; the Conservatives emerged as the patrons of protectionism and the champions of Canadian manufacturers. There were other problems. 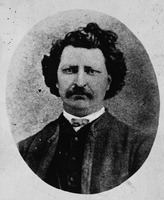 Among them was the question of amnesty for Louis Riel*, leader of the Red River uprising of 1869–70, who in 1874 had been elected mp for Provencher. Cartwright opposed Riel’s attempt to take his seat and had little sympathy with the grievances of the Métis and the Indians, but he firmly believed that Macdonald’s government had mishandled the uprising from start to finish. Mackenzie’s prevarication on the issue underlined the weakness of his government, which was beset by internal divisions and frictions. Although Mackenzie, Edward Blake, and Cartwright were generally regarded as the only cabinet members “of any ability,” Mackenzie and Blake, who saw himself as the real leader of the party, quarrelled frequently. Cartwright often sided with Blake. Especially troublesome was the Pacific railway issue, which arose from the promise, made by the previous government to British Columbia when it had entered confederation, that a transcontinental railway would be built. Blake demanded that the scheme for financing the railway inherited from the Tories be scrapped; Cartwright worried about the cost and the debt the railway would impose on the dominion. Mackenzie vacillated, fearing (improbably) that the imperial government would intervene and call the Conservatives back to power if the deal with British Columbia was broken. Moreover, he recognized that, whatever his two colleagues’ doubts and demands, completing the railway was important to Canada’s future. After more than a year of quarrels and delays, Governor General Lord Dufferin [Blackwood*] gathered the three together in 1876. He bluntly informed them that, in his view, Mackenzie had lost control of his government and that Blake and Cartwright were the chief troublemakers. Blake nevertheless continued to behave as de facto leader of the government and Cartwright protested that the most serious threat to Canada’s future was no longer American encroachment, but the meddling of Downing Street. 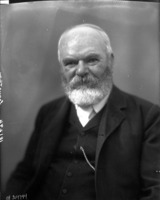 Sir Richard Cartwright would spend the next 18 years on the opposition benches. In 1882 Huron Centre was gerrymandered out of existence. Defeated that year in Wellington Centre, he was returned at a by-election in Huron South in 1883. 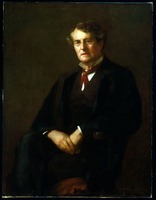 In the next four general elections – 1887, 1891, 1896, and 1900 – he was safely elected in Oxford South. 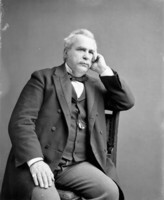 His relationship with Blake, while Blake was party leader, was sometimes strained but with Laurier, who assumed the leadership in 1887, he quickly became a trusted confidant and Laurier’s lieutenant in Ontario. 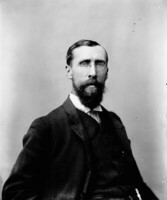 In retrospect, the years 1887–91 were the most significant of Cartwright’s political career. As the party’s financial critic, he was a tenacious foe of the Macdonald government’s National Policy; he decried the decline of property values, excessive government expenditures, and the increase in Canadian emigration to the United States, all, he argued, direct results of the National Policy. Cartwright’s cure for the troubled Canadian economy was unrestricted reciprocity with the United States. Geography and demographics made increased trade with the United States the most logical choice for Canada, and free trade would benefit the transport and manufacturing interests and provide jobs for Canadian workers. Only “parasites,” he held, gained from the “extravagance and corruption” of the government’s highly protectionist tariff policy. To Tory critics who dubbed him the “Blue Ruin Knight” and questioned his loyalty, Cartwright replied that there was nothing patriotic about “35 per cent tariff protection loyalty” to Britain and the empire. Rather, a Canada that had unrestricted trade reciprocity with the United States would grow and become more autonomous. One day, he thought, Canada would be a “fully autonomous . . . and responsible member of an allied community” of the three nations, serving as mediator between Britain and the United States. In the election of 1891 the Conservatives tied the National Policy to loyalty to the empire and depicted the Liberals as the party which would bring annexation to the United States in through the back door of commercial union. Cartwright and another prominent Liberal, John Charlton*, vigorously championed the virtues of unrestricted reciprocity, especially among Ontario farmers. Their campaign helped the Liberals wrest seven seats from the Conservatives in Ontario and gain a majority of seats in central Canada. 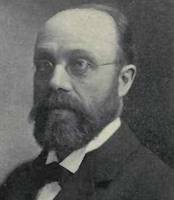 But Macdonald won the election and, by 1891, unrestricted reciprocity, which Cartwright had announced in the commons in 1888 as Liberal trade policy, was being challenged by many Liberals, especially Liberal manufacturers in central Canada [see George Hope Bertram*]. 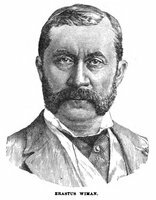 In 1893 a Liberal party convention chaired by Ontario premier Oliver Mowat* ended with the adoption of a new commercial policy: “freer trade” with Britain and the United States. Unrestricted reciprocity was dead and Cartwright’s influence diminished. Cartwright and Chariton were kept in the background by the party during the election of 1896. They campaigned in rural areas, far from the manufacturers Laurier sought to win over. Quietly but effectively assured by Laurier that the National Policy would not be abandoned, the manufacturers joined in the celebration of a Liberal victory. To reassure them, Laurier appointed William Stevens Fielding* to finance, not Cartwright. Cartwright was offered trade and commerce, a department he had often criticized since its emergence in 1892 as being costly and a source of sinecures for Tory patronage. He was outraged and briefly considered giving up, but he finally accepted the portfolio, which he would hold until the end of the Laurier regime in 1911. The administrative framework of trade and commerce was solidly established during these years and the number of its representatives overseas was expanded. But Cartwright was in poor health and spent much of his time at home in Kingston or at health resorts, leaving control of the department largely to his deputy ministers, William Grannis Parmelee and then Francis Charles Trench O’Hara. Cartwright did bring in, through the department in 1908, a program dear to him, state-backed old age annuities. From time to time, other responsibilities and favours came his way from Laurier in recognition of his long service. 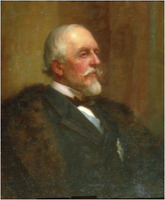 In 1898–99 he was one of the Canadian members on the Anglo-American joint high commission to resolve Canadian-American diplomatic problems. He was appointed to the imperial Privy Council in 1902 and to the Senate in 1904. His knighthood of 1879 was followed by a gcmg in 1907. 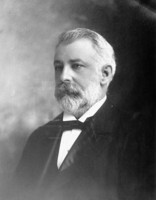 He became government leader in the Senate in 1909 and occasionally served as acting prime minister when Laurier was absent. But his power and prominence in party affairs and national politics had long been in eclipse. Sir Richard Cartwright was an abstemious man with only a few interests outside business and politics. Though he was commonly thought to be a millionaire, he would leave an estate of $228,400; he appears to have spent a good deal of his money in support of the Liberal party and on his own election. In Kingston he was a prominent member of St George’s Cathedral and he had been the founding head in 1883 of the board of Women’s Medical College at Queen’s College. He liked athletics, especially cricket, riding, swimming, and boating. For as long as his health permitted, he rowed three miles daily along the St Lawrence from his summer home, The Maples, east of Fort Henry, to his office in Kingston. His Memories of confederation . . . ([Ottawa, 1906]) was followed by his Reminiscences (Toronto, 1912), in which he returned to his scathing attacks on Macdonald. Cartwright’s relationship with his family resembled that of the archetypal Victorian paterfamilias. An obituary mentions the family’s “loving reverence” for him. Other sources of information are few. His correspondence suggests that he was a rather stern father to his six surviving sons. His relationship with his wife and daughters is less clear, but it is evident in his papers that he regarded himself as the head not only of his immediate family but also of a large group of relatives, ranging from his mother and unmarried sister to Frances’s family. In the boarding-school tradition that he had experienced, Cartwright’s sons were sent to the school run by Frederick William Barron at Gore’s Landing, Ont., and to Trinity College School in Port Hope. Following a hernia operation, Cartwright died in Kingston of heart failure on 24 Sept. 1912, just a year after the Liberal defeat of 1911. He was buried in Cataraqui Cemetery near Kingston. Much notice was taken of his death and he was widely memorialized in the Canadian press as a statesman of great fighting spirit and excellence in public debate. His unwavering commitment to unrestricted reciprocity has been seen as doing little for the Liberals under Laurier. As well, it prevented Cartwright from attaining the positions of political power that he felt were rightfully his. But, as a member of the opposition benches, Cartwright was an invaluable parliamentary debater, fierce and unflagging in his denunciation of Conservative corruption and political chicanery. AO, F 24. QUA, Cartwright family papers; Alexander Mackenzie papers. Daily British Whig (Kingston, Ont. ), 25–26 Sept. 1912. R. C. Brown, Canada’s National Policy, 1883–1900: a study in Canadian-American relations (Princeton, N.J., 1964). Can., House of Commons, Debates, 9 April 1886: 620; 5 Feb. 1896: 1195–205; Senate, Debates, 28 Feb. 1907: 331–36; 18 April 1907: 786–99. Canadian men and women of the time (Morgan; 1898 and 1912). Frontenac Loan and Investment Society . . . (Kingston, 1863). 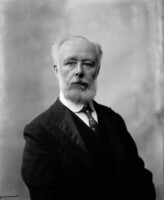 W. R. Graham, “Liberal nationalism in the eighteen-seventies,” CHA, Report, 1946: 101–19; “Sir Richard Cartwright, Wilfrid Laurier, and Liberal party trade policy, 1887,” CHR, 33 (1952): 1–18; “Sir Richard Cartwright and the Liberal party, 1863–1896” (phd thesis, Univ. of Toronto, 1950). O. M. Hill, Canada’s salesman to the world: the Department of’ Trade and Commerce, 1892–1939 (Montreal and London, 1977). Standard dict. of Canadian biog. (Roberts and Tunnell), vol.1. Donald Swainson, “Richard Cartwright joins the Liberal party,” Queen’s Quarterly (Kingston), 75 (1968): 124–34; “Richard Cartwright’s Tory phase,” Lennox and Addington Hist. Soc., Papers and Records (Napanee, Ont. ), 15 (1976): 11–27. P. B. Waite, Canada, 1874–1896: arduous destiny (Toronto and Montreal, 1971); Man from Halifax. Cecilia Morgan and Robert Craig Brown, “CARTWRIGHT, Sir RICHARD JOHN,” in Dictionary of Canadian Biography, vol. 14, University of Toronto/Université Laval, 2003–, accessed April 24, 2019, http://www.biographi.ca/en/bio/cartwright_richard_john_14E.html.